- Introduces 2 alphabets (letter names and letter sounds) in each lesson, incorporate of different themes to build up vocabularies related to the letter names, letter sounds and the main theme per session. - The multisensory writing is about correct letter formation through the use of gross arm movements and later transfers to smaller finger movements within the course. - The multisensory activities include : songs and movements for gross motor skills, arts and crafts activities for fine motor skills. 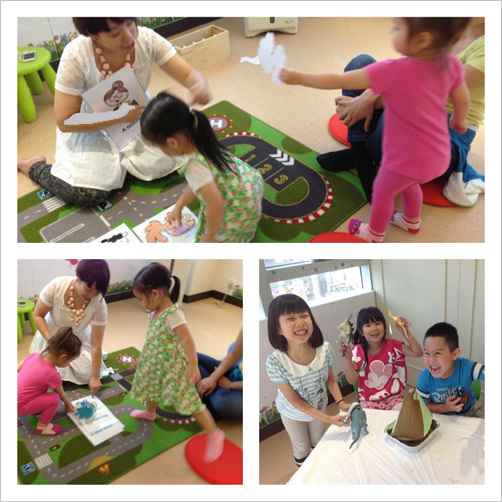 There will be story time, dramatic play and games included depending on the main theme of the session.